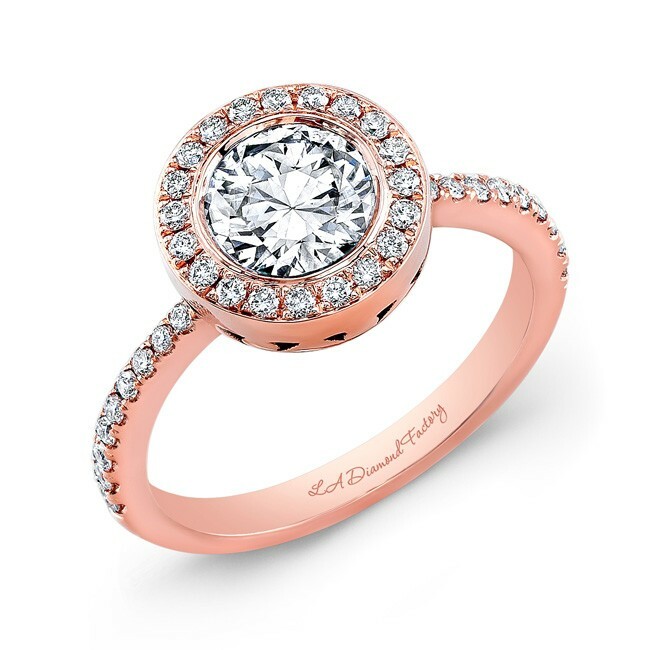 Product Info:This 14kt rose gold engagement ring features micro-pave set diamonds surrounding a bezel set round brilliant center stone. 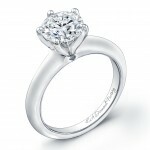 This modern design can be made in any metal and accommodate any size center diamond. The price reflects the mounting only. The center diamond is not included.